Looking for that special speaker for your next meeting? Looking to create an informative and memorable meeting? Looking to have a keynote speaker that will motivate and set the tone of your all important conference? For 2019 Louis has two new training products available for your company. One is Louis’ new video, If Disney Ran Your Company and his text Business Guide for Quality Customer Service (145 pages). Video can be purchased for $39 and the training text for $25. Materials will be sent to you electronically for duplication or you can purchase multiple copies for your staff. Please call Louis at 954.838.7504 about your order. Louis does all that and more. 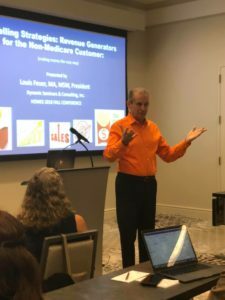 He engages his audience bringing insight to education and always providing his attendees with creative strategies that provide both professional and business growth. Louis will present a memorable and dynamic program that will set the tone of your meeting. 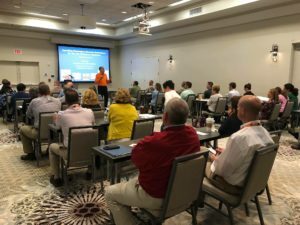 Louis has recently presented programs for close to 600 people at the AmeriSource Bergen 2018 Annual Conference in Orlando and will be a part of the New York Foundation for Home Care’s 2018 Annual Meeting and a Keynote Speaker for the Pharmacy Quality Alliance invitation only Leadership Summit. If Disney Ran Your Company: Business Education from an International Icon – Louis’ most popular presentation. Mickey Mouse hat and all! And more! Contact Louis about topics and programs for your company.